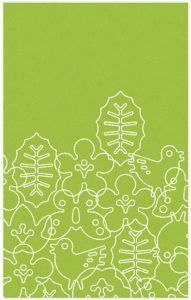 In last month’s “Design Matters” newsletter, we heralded in spring with a variety of garden-inspired home décor products. That brought up a question: Do you change up your home décor for the changing seasons? Lots of people decorate their homes for the holidays, but not very many make regular changes at other times of the year as well. This cheery rug was one of the products we featured in our last newsletter. My sister was visiting when the newsletter was sent out, and she was aghast at the very idea. 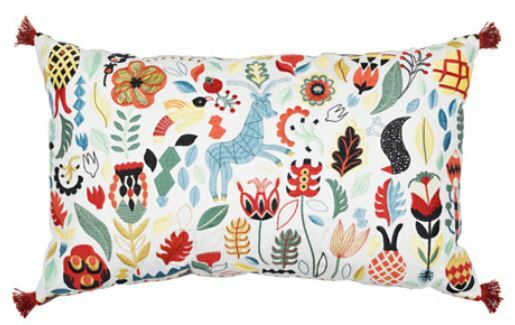 She didn’t understand why anyone would want to take the time to swap out pillows, bedding, rugs, or curtains just because of a change in the weather. Even worse, she pointed out, the change would require her to reserve storage space for items that she only uses for part of the year. Do you agree? Is it a waste of time and space to switch up your décor throughout the year? Or is it a refreshing change of pace that not only helps you welcome in the new seasons, but also helps you appreciate the look of your home? 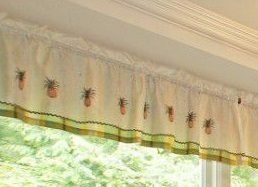 Here’s an example: My last house had a kitchen dining nook with café curtains at the window. I had two sets of curtains that I alternated depending on the time of year. 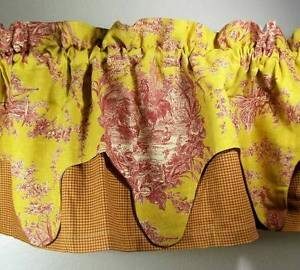 One set was a heavy toile fabric in deep, rich shades of maroon and gold that I hung in the fall and winter months. The other was a gauzy cream-colored fabric with a cheery green and yellow checked border and an embroidered pineapple design. That set hung throughout the spring and summer. The time required to swap out the curtains was maybe 10 minutes, twice a year. The effort involved standing on a kitchen chair, lifting the curtain rods off the brackets, sliding off one set of curtains, sliding on the other set, and popping the rods back on. And the storage required: about as much room in my linen closet as a single tablecloth or beach towel. But the result – for me, at least – was well worth it. I noticed the change. Visitors noticed the change. I strongly believe that the longer you keep the same décor in the same place, the less you pay attention to it. Changing things up keeps your home fresh, and helps you appreciate the look you’ve created. Then again, I’m a designer. I’m constantly exposed to new products and styles, and I always want to change up the look of my home. So I would love to hear your thoughts on the subject. How often do you switch up your décor? If you have photos of seasonal décor, please share them with us! Send your comments and photos to cathy@albeeinteriordesign.com, or visit our Facebook page at https://www.facebook.com/AlbeeInteriorDesign/ and look for the thread on seasonal home décor.